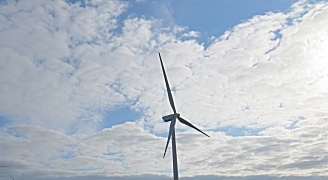 The High Court has quashed Planning Permission for 34m wind turbine. After action by Campaigners, the High Court has quashed the planning permission given by Powys County Council for a 34m high wind turbine. According to Irwin Mitchell, the lawyers for the campaigners who brought the judicial review, the ruling came after the council admitted that there was no indication of whether environmental information relating to the development had been taken into account. The applicant – a landowner in Glascwm – had reportedly already constructed the turbine or made a material start before the planning permission had even been granted in March 2014. • The overriding obligation for the council to protect the area for future generations. Justin Neal, a specialist environmental lawyer at Irwin Mitchell representing the claimant, said: “Powys County Council had several chances to take into account the strong views of local residents and the statutory consultees such as Natural Resources Wales – but they still made serious mistakes in the process.